Have you ever wanted to pick the brain of a personal trainer that whips all your favorite celebrities into shape? “Ask A Celebrity Trainer” is a new Q & A series, that will get your fitness questions answered by the professionals who train the stars. Fit With Fallon caught up with Personal Trainer Michael Myers to kick off our first series. 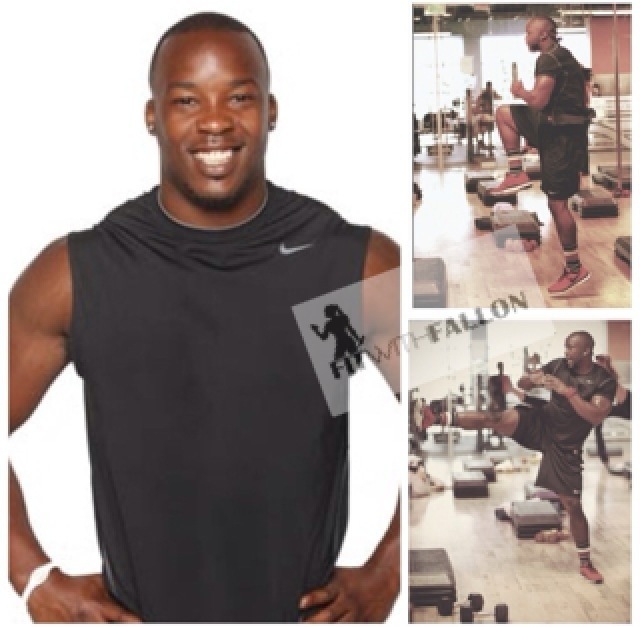 While working for the Hollywood trainer Jeanette Jenkins, Michael has trained Kelly Rowland, Terrence J, Pink, Tia and Tamera Mowry and many others. Mike also teaches an intense boot camp class at Crunch fitness in West Hollywood. Check out what Mike has to say about eating before your am cardio. Do you recommend your clients to workout out first thing in the morning on an empty stomach, or do you prefer them to eat before their morning workout? Cardio on an empty stomach is cool, if immediate weight loss is the goal. However, if you are doing a full body workout I recommend eating before working out because you have to wake your metabolism. In an episode of “Tia & Tamara”, Michael explained to Tamara how important it is to eat before having an intense full body workout by saying “You can’t drive a car with no gas”. Want to train with Michael or take one of his boot camp classes? Head over to michaelmyersfit.com for more info.